Can you spare a sparrow? Sparrows are ordinary little birds, the original “twitters that tweet”. Plain brown-feathered avians with a bit of white highlights and black detailing on wings and tail. A stout body and strong beak complete the miniature musical package. Even the sparrow’s song is rather ordinary. Though they may be common, they are cheery creatures and accustomed to people, making them pleasant companions. 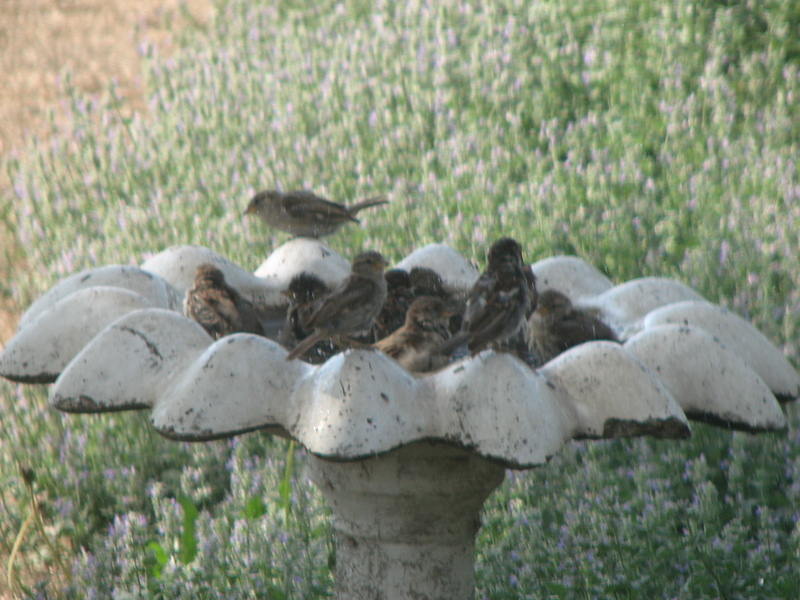 Watching sparrow couples mate on clothesline (a frantic series of quick flits) and later tend nestlings in birdhouse or seeing a small flock splash in garden birdbath provides cheap (cheep) window entertainment. Sparrows are equally at home in the big city, hopping along sidewalks and chirping in bushes.